Mad Max: Fury Road comes out this week, and now there’s just one more reason to go see it. 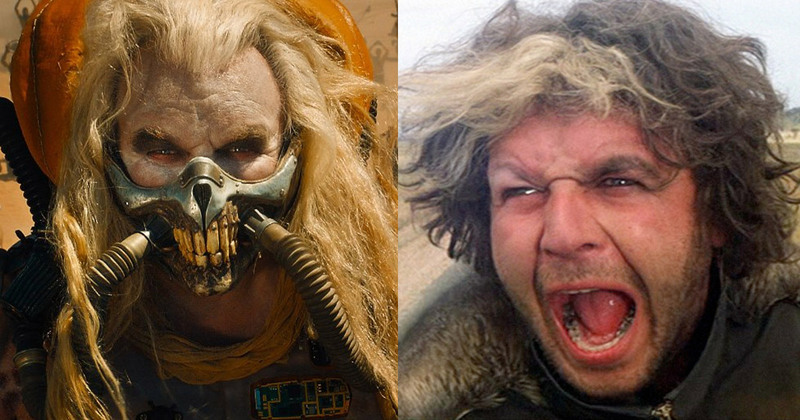 It turns out that the actor playing the main bad guy in Fury Road was also the bad guy in the 1979 original Mad Max. That just gave the new flick an extra 1000 points of geek cred if you ask me. 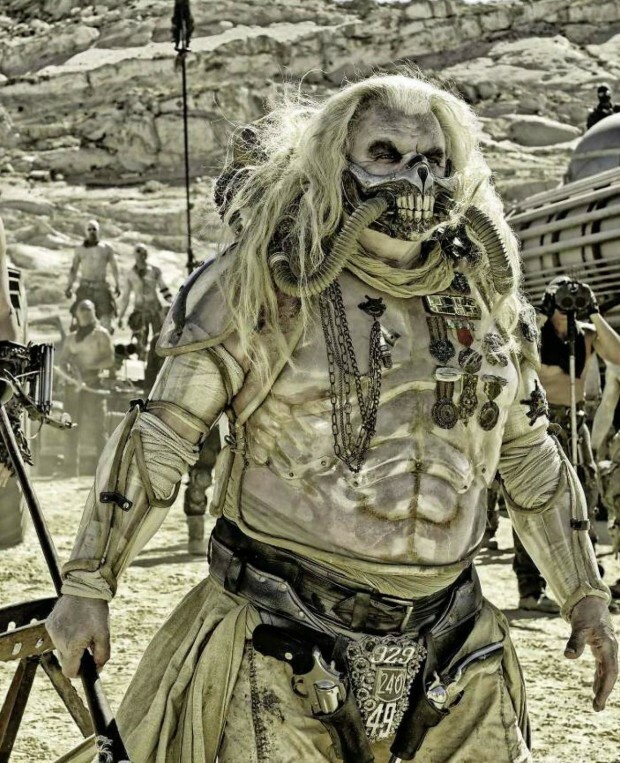 After Hugh Keays-Byrne original villain Toecutter met a grisly end in Mad Max, he’s back as a pasty white new character called Immortan Joe. As far as I know, Keays-Byrne is the only actor who appears in both the original and the new film, and he looks even more crazy than he did some 36 years ago. I’d also bet his gang’s vehicles are a bit more impressive than the motorcycles they rode back in the day.